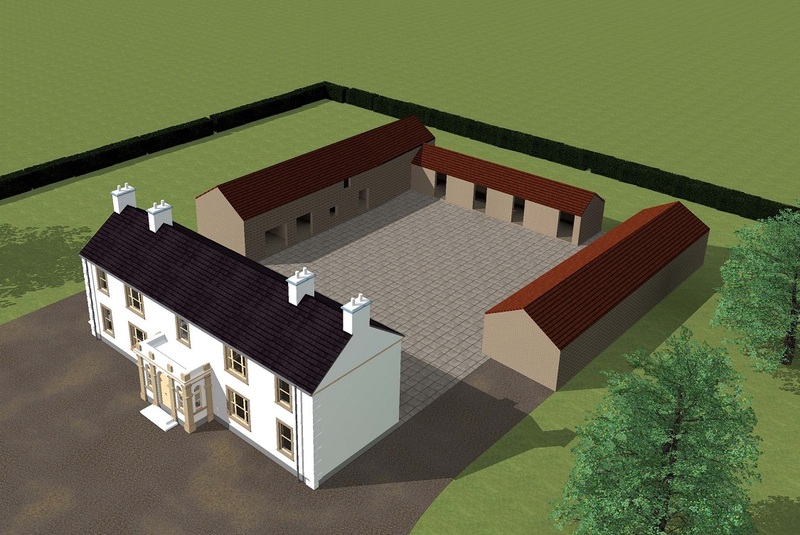 Derelict dwelling to Traditional House and Courtyard. Recreation of existing traditional dwelling using original details and building techniques. Craftspeople were involved in recreating original corbel and quoin details. The use of sash windows, natural slate and adhering to the original proportions ensured this replacement home reflected the spirit and authenticity of the original house.